Oase Ayurveda Hospital is a wonderful little bungalow resort, surrounded by a picturesque coconut palm grove and only 55 km away from the Cochin (COK) airport. 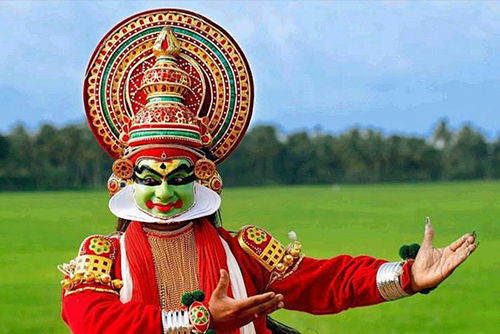 The resort lies in avillage in the middle of Kerala without other tourist resorts and is only 3 km from the beach. The bungalows are built in the traditional Kerala style. Every one of the three double bungalows has two separate spacious, high and airy rooms with an own entry, large canopied porch, bathroom with shower and modern sanitary equipment. We have another bungalow with three single rooms, equipped with double beds so that they can be used as double rooms. They are only slightly smaller than the rooms in the double bungalows and still offer lots of room. The traditional local building style makes air conditioning superfluous, however each room has a ventilator. The wide double beds with the cabinets, bed tables, writing desk and chairs have been manufactured by local carpenters. The porch has tables, chairs and deck-chairs made from plaited cane. There are numerous possibilities for excursions, e.g. 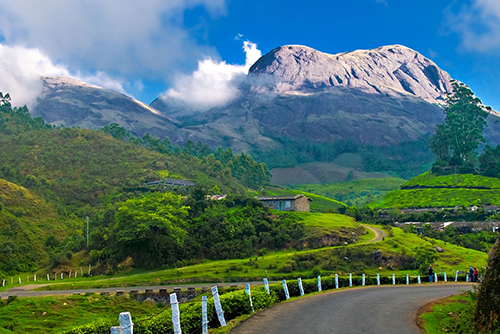 to the temple towns of Thrissur and Kodungallur which are 20 km away. 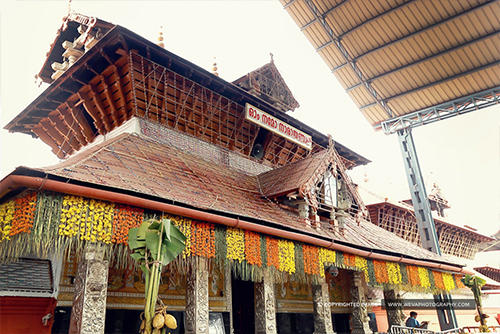 The famous Guruvayoor temple and Sri Rama temple are only 12 km away. The first Christianchurch in India is at a distance of 15 km in Palayoor. 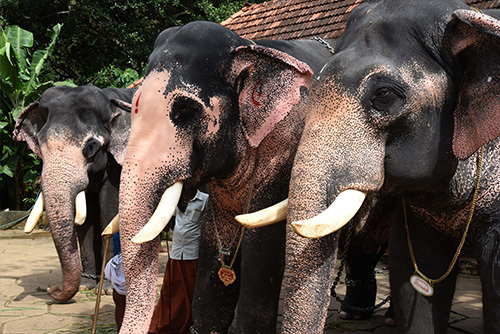 If you are a bit lucky during your stay – most likely in January, February or March - you can experience one of the many temple festivities in the area which are celebrated with quaint elephant processions, temple musicians and magnificent fireworks. As a sport activity we offer bicycle tours to the beach as well as to the backwaters and to the port where you can watch the fisherman doing their work. Bicycles are for rent at the resort. 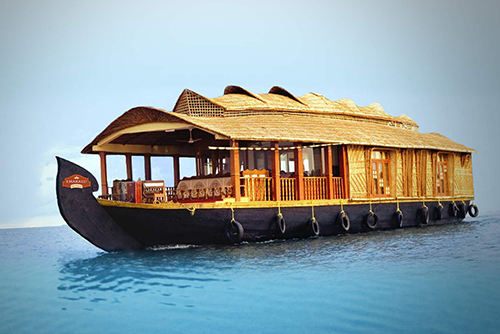 We will gladly organise for you boat trips on the Canolyriver or an excursion to the elephant camp of Guruvayoor (over 60 elephants), to the waterfalls of Athirampilly-Vazhachal and other destinations, with a car, driver and guide. Another enrichment for you could be to participate in our Yoga offer. The restaurant in our resort is serving traditional delicious Kerala vegetarian food. We put high emphasis on ayurvedic nutrition. You will find rice dishes, lots and lots of different vegetables and fruits. For breakfast we offer tasty and healthy food like dosa, idlis, puttu, appam – you will be surprised! Even the ones who have never tried South-Indian food before are thrilled. Different herbal waters are served with the meals. Ayurveda Oase Resort is equipped with High-Speed Wireless Internet Facility.